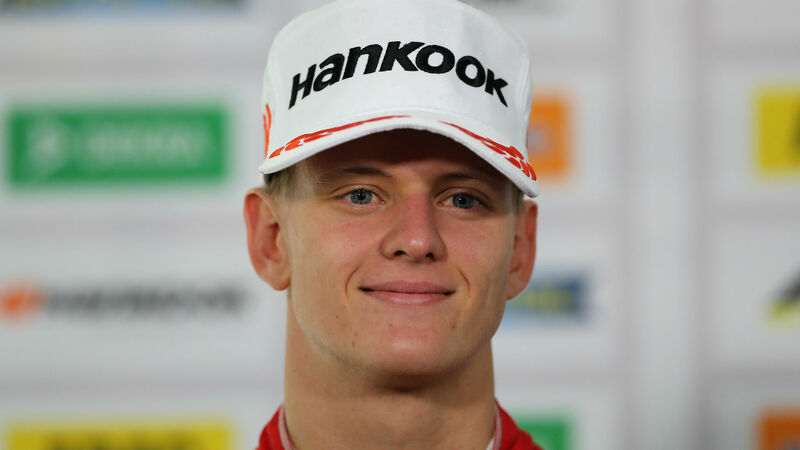 Mick Schumacher has been signed up to the Ferrari Driver Academy, joining the team with whom his father dominated the sport for five years in the early 2000s. Michael Schumacher won the drivers' title every year from 2000 to 2004 and is regarded as one of Formula One's greatest. But son Mick has been forging his own path in motorsport over recent years and won the Formula 3 European Championship in 2018. He will now have the full support of Ferrari in achieving the ultimate goal of reaching F1 and will surely also have the backing of the fans who idolised his father in years gone by. Here we take a look at the drivers who made it from the Ferrari Driver Academy to the F1 grid and how they fared. Bianchi was the first recruit to the programme in 2009, signing up to a long-term deal with the Italian giants after impressing during a young drivers test in Jerez. The French driver was made Ferrari test driver in 2010, replacing a trio of veterans in the position with Giancarlo Fisichella, Luca Badoer and Marc Gene having previously fulfilled that function. After driving in practice sessions for Force India in 2012, Bianchi landed his first F1 seat in 2013, driving for Marussia, and steered the struggling team to a top-10 finish at the 2014 Monaco Grand Prix. Bianchi was tragically killed at the Japanese Grand Prix later that year when his car collided with a recovery vehicle. Perez was part of the academy at the same time as Bianchi and is now one of the most experienced drivers on the F1 grid. The Mexican was given a drive with Sauber only a year into his time with Ferrari and was released from the programme in 2012 after being snapped up by McLaren for the 2013 campaign. He has spent the past five seasons with the former Force India team and boasts eight podium finishes from his 155 race starts. On the current grid, only Nico Hulkenberg has started more races without picking up a victory. Perez's team-mate at the new Racing Point outfit for 2019 will be another academy graduate in the form of Lance Stroll. Stroll was only 11 years old when he joined the programme in 2010 - the same year as Perez - and Williams spotted his potential when they took him on board as a test driver for 2016. The Canadian won the Formula 3 European Championship that year and was promoted to a race seat with Williams for the following campaign. Stroll's father Lawrence is part of the consortium that bought Force India last season and, as widely expected, he will make it a family affair with the team next season. Giovinazzi is the first member of this list who is still a member of the Ferrari Driver Academy and in 2019 will get his first real taste of F1. Giovinazzi did contest the first two races of 2017 for Sauber in the absence of the injured Pascal Wehrlein, but the seat is his for the season this time around and he could not have asked for better mentor to drive alongside, with Kimi Raikkonen - drivers' champion with Ferrari in 2007 - having returned to the team for 2019. Leclerc is now the example all young drivers in Ferrari's academy can aspire to, and - depending on his performances this season - proof that the system works. The Monegasque driver tested for Haas and Sauber in his first two years on the programme and, after an impressive 10 top-10 finishes for the latter in his first full season on the grid, he was chosen by Ferrari to succeed Raikkonen as team-mate to four-time world champion Sebastian Vettel, putting him in a competitive car for 2019 despite only having a year of senior F1 experience under his belt.